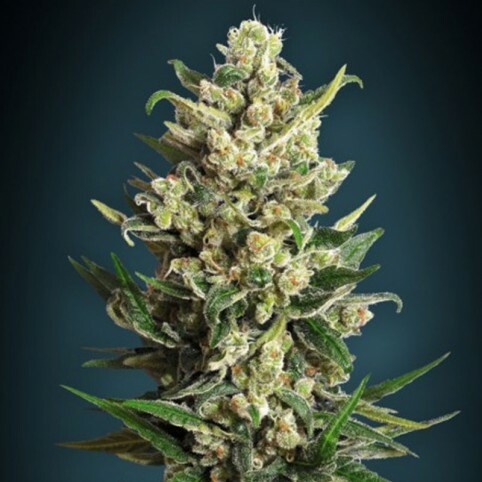 Ice Kush is a powerful hybrid which combines genetics from legends like Skunk #1, Afghani, Northern Lights and Shiva into a classic Sativa/Indica strain. Ice Kush tastes of sweet, citrus and strawberry flavors and gives off a complex petrol aroma, making it ideal for the more demanding palate. This strain’s excellent trichome production, mildew resistance and fast flowering season make it a very popular choice. Ice Kush has a deep and relaxing high, which is known for its euphoric qualities and stress relief potential. This strain’s dense Indica-like flower formation and its large, Sativa-like stature combine perfectly to yield high quantities of high-quality bud. Taking the best from both worlds, this strain produces dense buds and big yields. Ice Kush is mildew resistant with an early outdoor harvest.